153 p., 18,1 x 25,4 cm. a. Einleitung – b. Katalog des Nachlasses – c. Personenregister. Edited by Pavel Krivsky and Marie Pavlíková. The comprehensive Prague literary estate contains manuscripts with philosophical, theological, scientific and biographical content as well as letters. These manuscripts were amended and arranged by Pavel Krivsky. The description of the contents, which he wrote together with Marie Pavlíková in the Czech language, has been translated into German by Jaromír Loužil. 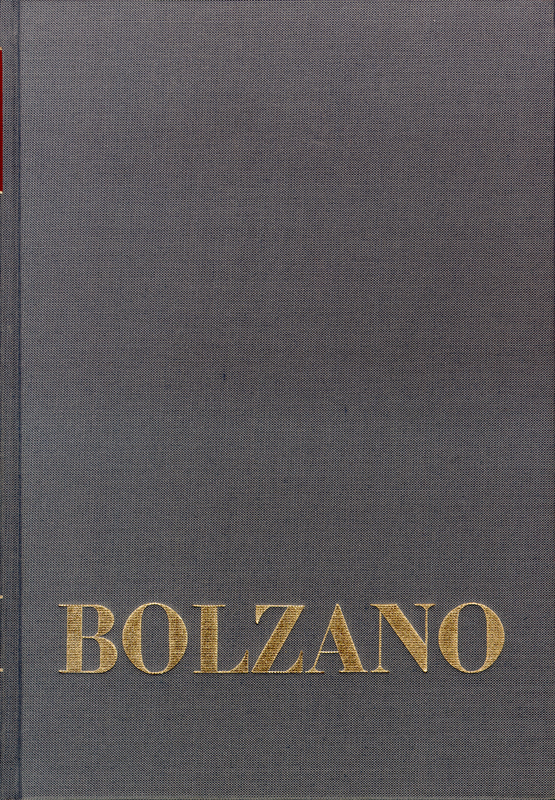 In conjunction with the new complete bibliography and the first section of the second introductory volume, this concludes the complete and exact compilation of Bolzano’s published and unpublished works.